When things get frightening or discouraging, we often blame who we’re following and decide we know who would be a better leader. We convince ourselves the only right reaction must be to turn in an opposite direction or return to where we once were. We’re unwilling to consider what pieces in our situations could help us, what we need to struggle through to grow, and how we can partner with people around us even when it’s challenging. We don’t have to like our situations but it’s important to honor God through them. In the above verse, people’s fears and lack of understanding blinded them to God’s leading and provision so much that they wanted to return to Egypt, where they we so desperate to escape slavery. They wanted to return to a familiar situation, no matter how bad it was, instead of trusting God and growing through an uncertain situation. We need to be willing to push through our fear and discouragement. Otherwise, we’ll miss out on what’s right in front of us. 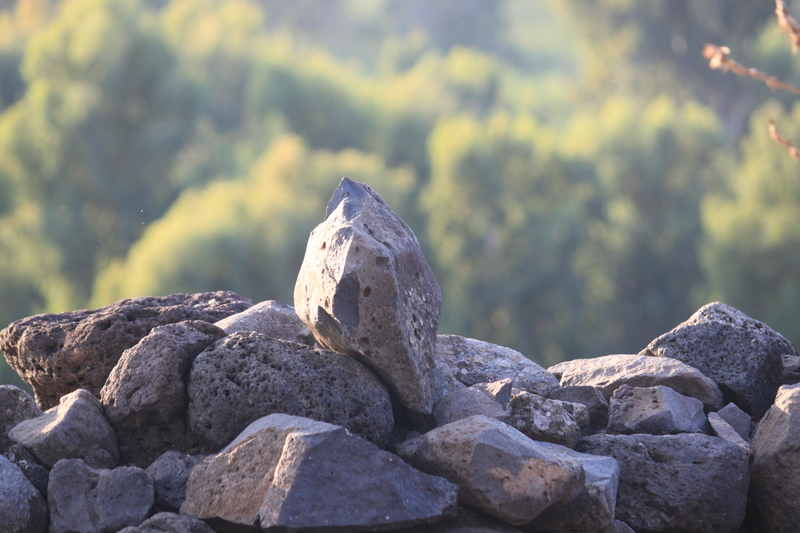 The first time I visited Israel, it was as if I sliced through a tell and looked at the grandness of the cross-section. As tell (or tel) is a layer of civilization. It’s a mound-like structure created by a long series of human occupation and abandonment. As I experienced the cross-section, I savored as many details as I could, but I mainly tried to see the bigger picture so that I didn’t get confused by disconnected pieces. I connected more pieces when I returned. I recognized roads and oriented one location to another. I steeped in familiar places and discovered new ones. With nearly every step, something “clicked” as if I could identify something familiar with something new. Not all the connections were between the two trips. Many were between places, stories, people and the Bible. Some involved research and reading I had done in preparation for the trip. If my first trip was like slicing through a tell, my second trip was sitting at various layers and studying details. Of course, the more I experience, the more I know there is to experience. The more I know, the more I want to know. Learning is a lifelong adventure. No matter how much you know, there is more to learn. No matter how strong your faith, it is only a fraction of the faith you can have. We can focus on the faith we have and be content. We can also focus on the faith we don’t have and give up on growing. Neither is productive. Instead, we can claim the faith we have, stand firmly on it, but continue to examine, tear down, build up, and take one more step at a time. Faith is a journey. It is an adventure. 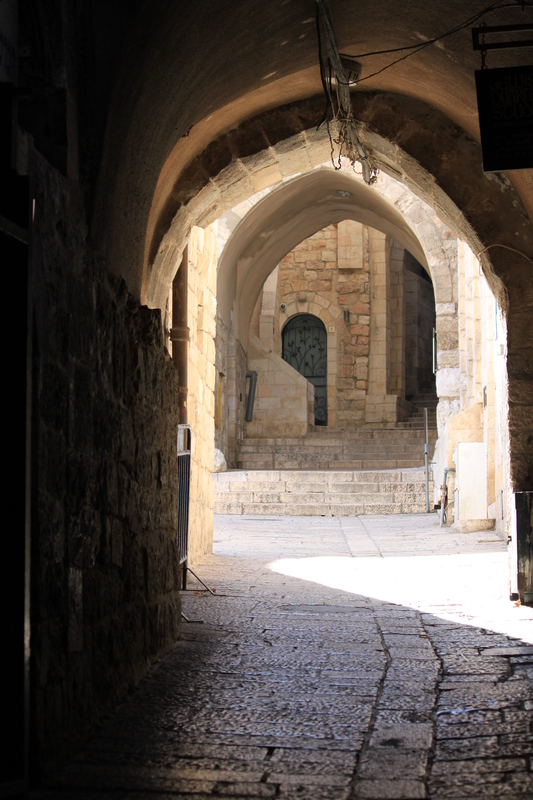 The moment I stepped through the gates of the Old City in Jerusalem, I breathed a sigh of contentment. It felt familiar. I had walked in and out of various gates as often as possible several years before. Some streets and turns seemed as if I’d traveled them many more times than I had. I can easily get from one quarter to another. I can take a few shortcuts. Yet there is so much I don’t know. There are many streets I haven’t taken. As much as I have explored, it is a small fraction of the total possibilities. There are adventures in the familiar. It is in our routines that we can neglect to see the opportunities around us. We can miss the details we pass because of our focus on the destination ahead. It’s important to know where we’re going, but each step along the journey is essential. We can’t get to the destination without taking each step. If we aren’t intentional about each step, we miss out. One of the beauties of Old Jerusalem is the side streets and passageways. I glance to the left and right and wonder: Who lives there? What are they thinking? What do they need? What has happened here? What will happen in the future? I look at the light shining on one wall and casting shadows under the archways or roof beams. The scene always changes. Change with each step you take today. Explore the familiar. You’re not just here to bide the time as it passes. You cannot get back a single moment or step. Live well. I’ll usually sacrifice a few hours of sleep for the comfort of my own bed, so when I recently scheduled a trip to Atlanta, I decided to fly in and out the same day. That meant a 3:45 a.m. wake-up call, full day of training and networking with women’s ministry leaders, and bedtime around 1:30 a.m. Because it was a dark-to-dark day, I knew I needed to rest on the plane. The man next to me was snoring. Travel companies spend millions of dollars to create and convey the comfortable experiences of the familiar. 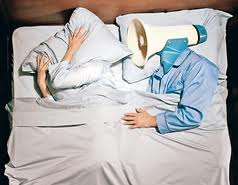 I’m not sure snoring neighbors is an effective marketing plan, but it still made me smile. If I couldn’t sleep beside my husband, at least I could experience a small piece of home even if it’s a home experience I typically strongly dislike. How often do we experience something as negative until we can no longer experience it? Of course, I was only away on a short trip, but what about all the things that annoy us most about a family member – and then we miss when they move or pass away? Some of the annoying habits are often what we miss right away, because they’re habits, and we readily notice their absence. The discomforts of home are sometimes the very things that comfort us as reminders of home. I’m not referring to the life-changing, traumatic things of home. I’m thinking in much more light-hearted terms. And to be honest, how we respond often depends on what terms we separated from someone. If the separation was negative, we’re more likely to continue being annoyed by habits. But let’s think more from a positive perspective. Have fun with this for a minute. What has annoyed you about your children, parents, spouse, friends, and so on that you missed once the person was away from you? I’d create a list, but it might create an issue with some of the people I love! Really, it’s not unlike how I sometimes respond spiritually. Faith isn’t convenient. It can interrupt the rhythm of the day. It requires more out of me than I’m willing to give at times. I’m prompted to yield when I want to do things my way. I have (what I think to be) good reasons. Faith isn’t comfortable – or is it? What happens when I’m outside my norm? I look for, rest in, and cling to what’s firmly grounded and familiar to me, which is – I’m thankful to say – my faith. Within the discomfort of life, I find comfort. Faith isn’t comfortable, yet it’s steeped in comfort. The wide path of convenience might be easier, but it doesn’t make it best. The narrow road has its own set of challenges. The overgrowth scratches my legs. I can only see glimpses of what’s ahead. I have to walk by myself at times. And I have to pay attention to the subtle clues of terrain obstacles and directional challenges. But it’s the only path I want to be on. It’s the path I want to be most familiar. There is comfort in the discomfort. I didn’t get much sleep on my early morning flight. It’s okay. I had a comforting flight. I was walking this morning and heard the rumble of a train. Not unusual. 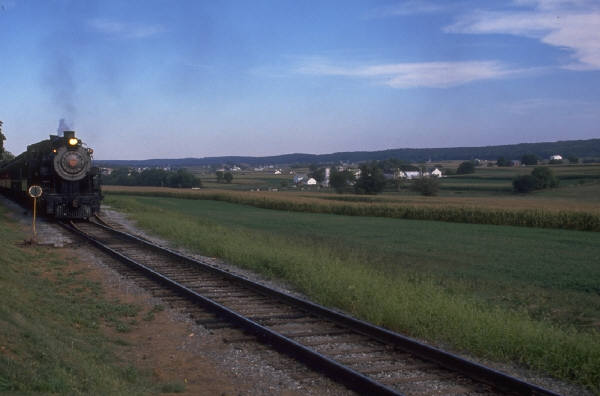 Living in central Illinois, where the land is flat and sound travels across the plains easily, I hear several trains a day. I have to cross the tracks at least twice when I walk. I speed up or slow down when I think I’ll get caught at one of the crossings. So when I heard the rumble, I looked ahead to find out where the train was and gauge my speed. I looked ahead and found the train…and it was no ordinary train. It was an Amtrak! Now that might not seem odd for many of you, but we don’t live near tracks used by passenger trains. We have freight trains. They usually sound their piercing whistles miles in advance of crossings and noisily speed along as the weight of their loads rock along the tracks with a rhythmic clickety-clack. So why was a passenger train on the tracks? Well, no, I don’t on a regular basis…made worse by the fact my daughter works in the newspaper office. Apparently, my mom had read the paper when she was at my house one evening weeks ago and learned the Amtrak was being re-routed through our area because of high speed rails being laid to go through her town. I was caught off guard when I saw the wrong train on the wrong tracks. And yet, it wasn’t the wrong train on the wrong tracks at all. I just didn’t have all the information. I started thinking about other times I respond in surprise, argument or irritation because I’m misinformed. Or it’s not that I have the wrong information. I might not have the information I need – because I haven’t sought it – to be aware of what’s accurate or true around me. Failing to read the newspaper holds me back from knowing there’s a problem with our drinking water, a required detour, an opportunity to get rid of items otherwise not accepted by the waste disposal company, or a community fundraiser or big sale at the local discount store. How does failing to read God’s Word hold me back? I don’t want to be misinformed or underinformed. To be honest, I don’t want to be overinformed either if it means I’m gathering lots of information without discerning the difference it makes in my life. I want to be familiar. Familiar with God’s Word. Familiar with God’s will. Familiar with God’s character. Familiar with God. I don’t want to react to the wrong train on the wrong track when it’s part of the plan.